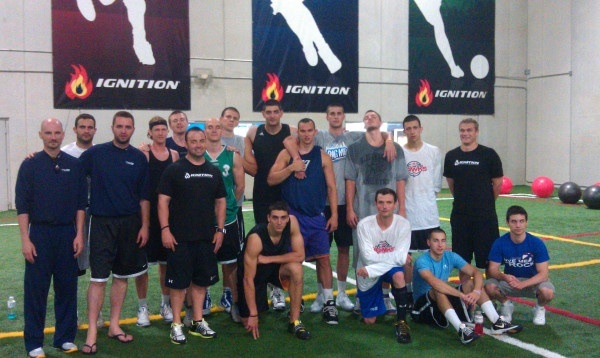 Team Ignition had the privilege to train the Bulgarian Athletes in Action basketball team, who is traveling the country for a few weeks playing games. 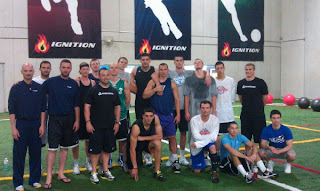 The AIA team came into Ignition on Monday, June 13 for a 90 minute training session with Coaches Clif Marshall and Ted Borgerding. Ignition's goal with this session was to teach the team how athletes in America train to become faster, stronger and better. "This was a great teaching session for everyone involved. Ignition is glad to impact athletes from across the globe both physically and spiritually. [Monday's] session was an awesome experience." 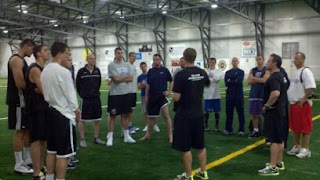 said Coach Clif Marshall, Performance Director at Ignition.